These are for all of the lemon fans out there, one being myself! 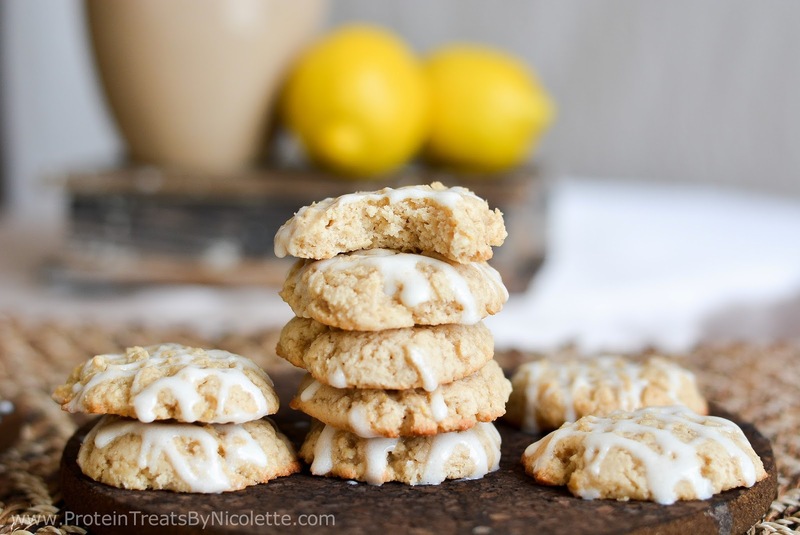 These are also for cookie fans, glaze fans, and basically delicious dessert fans. So everyone! 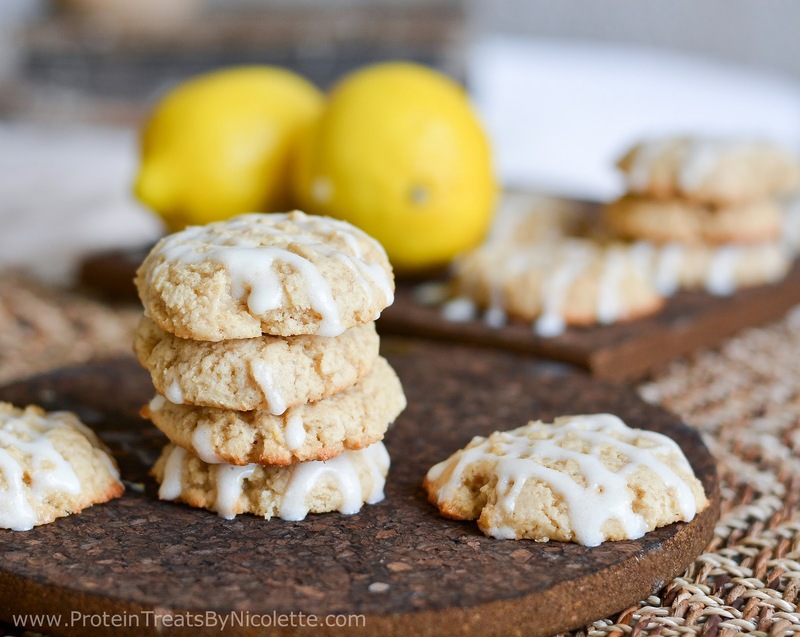 Free of gluten and eggs, these soft and sweet cookies can also be made vegan and/or without protein powder. Those options are listed in the notes section at the bottom of the recipe. 1. Preheat oven to 350F. Line a sheet pan with foil and coat with non-stick spray. 2. Place the first 5 ingredients in a mixing bowl and stir together. 3. Pour the remainder of the ingredients into the bowl of dry ingredients and stir until batter is thick and smooth. 4. Using a small ice-cream scooper or tablespoon, drop about 2 tablespoons of cookie dough onto the sheet pan, making 14 cookies total. 5. Gently flatten each cookie with a fork and bake in the oven for 10-14 minutes or until cookies are golden brown. 6. 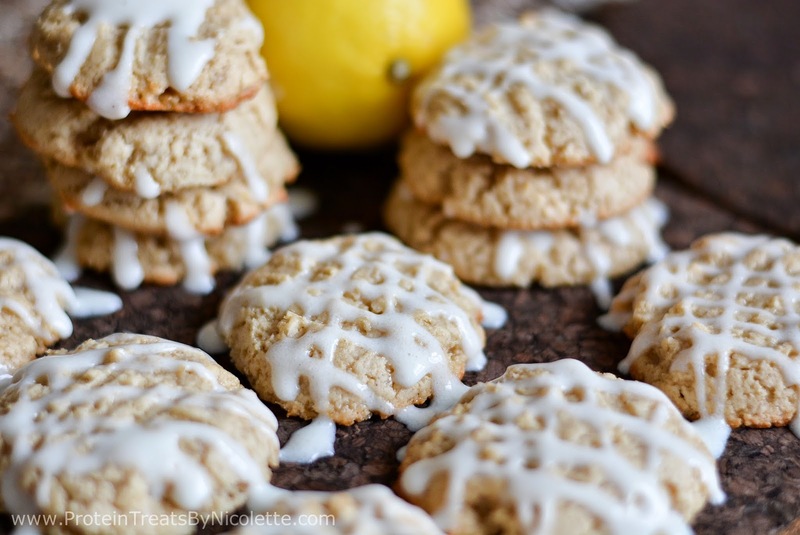 Whisk the glaze ingredients together and drizzle on each cookie. Serve immediately. 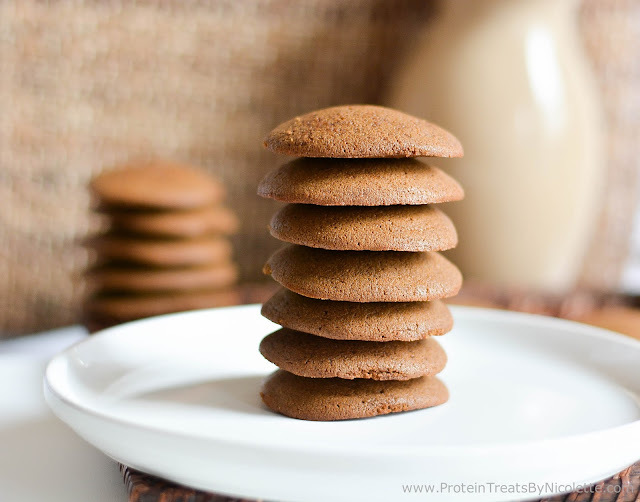 * Protein Powder Free Option: for the cookies, substitute protein powder with an additional 1/4 cup oat flour. For the glaze, substitute protein powder with 1/4 cup powdered sugar. * Vegan Option: use a vegan vanilla protein powder. * You can substitute xylitol with any granulated sweetener of choice. How cute! These cookies sound wonderful! Goodness yum!! These make me think of Spring!! They made me think of Spring also :) They were delicious!